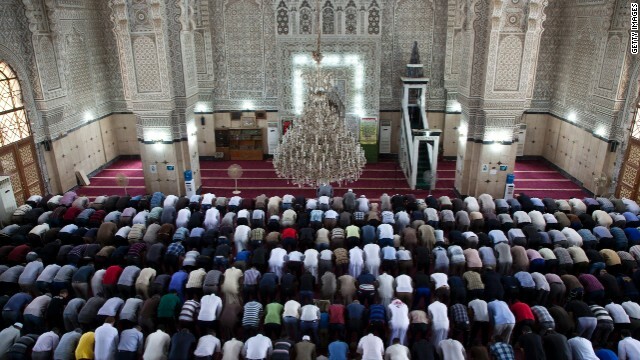 Washington (CNN) – A Pew Research Center study released Tuesday takes an in-depth look at Islam, including how Muslims around the world view extremism, sharia law and the meeting of religion and politics. The study is a four-year effort by Pew, which conducted 38,000 face-to-face interview in 80-plus languages for the survey. In total, 39 countries and territories were included, all of which had over 10 million Muslims living there. Elie Wiesel claps as U.S. President Barack Obama speaks at the Holocaust Museum April 23, 2012 in Washington, DC. Editor’s Note: Today marks the 20th anniversary of the U.S. Holocaust Memorial Museum. It was Elie Wiesel’s idea to make this an institution of learning rather than a simple memorial. 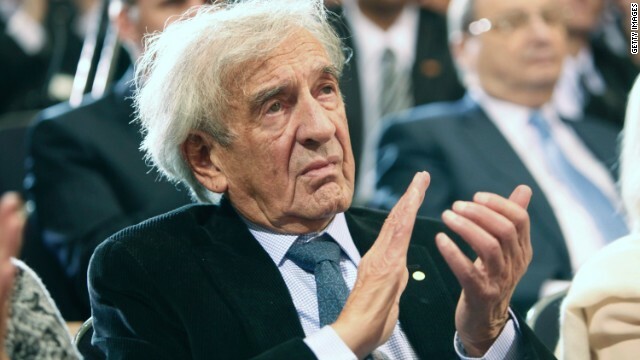 Michael Schulder, host of the "CNN Profiles" radio show, sat down with Wiesel to talk about a range of issues, including how a sense of humor survives in so many survivors. This story, though, is about faith. This is the opening line of the most widely read memoir of the Holocaust, Elie Wiesel’s "Night." I had the opportunity to ask Wiesel about Moishe the Beadle recently when we sat down for an in-depth CNN Profile, which you can listen to here. When Wiesel won the Nobel Peace Prize, the committee that chose him called him a messenger to mankind. (CNN) – Lawrence Krauss and Richard Dawkins discuss religion in the modern world and debate science in their new film. (CNN)–Muhammad Robert Heft speaks to CNN's Poppy Harlow about the beginnings of radical Islam, and his relationship with the family of the suspected Canadian terrorist. 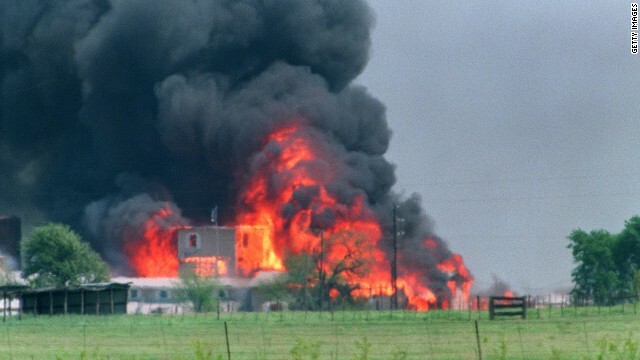 The Branch Davidians, a religious sect led by David Koresh, clashed with federal agents in 1993 in Waco, Texas. (CNN) - An angry outburst at a mosque. The posting of a suspicious YouTube video. A friendship with a shadowy imam. Those were just some of the signs that Tamerlan Tsarnaev, accused of masterminding the Boston Marathon bombings, had adopted a virulent strain of Islam that led to the deaths of four people and injury of more than 260. But how else can you tell that someone’s religious beliefs have crossed the line? The answer may not be as simple you think, according to scholars who study all brands of religious extremism. The line between good and evil religion is thin, they say, and it’s easy to make self-righteous assumptions. 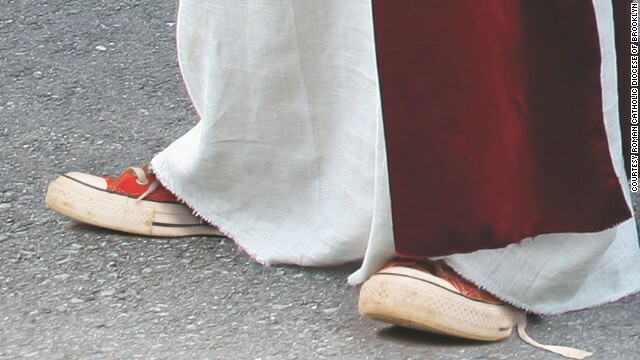 “When it’s something we like, we say it’s commitment to an idea; when it’s something we don’t like, we say it’s blind obedience,” said Douglas Jacobsen, a theology professor at Messiah College in Pennsylvania. (CNN) - Both sides in Syria's civil war were in rare agreement Wednesday: The minaret at a 12th-century mosque in Aleppo has been obliterated. Unclear, however, was who destroyed the tower at the Great Umayyad Mosque, which has witnessed the march of nine centuries. It was just last month that a United Nations official expressed concern about the two-year war possibly damaging the mosque, a World Heritage site. An opposition group blamed the government. "Regime forces have committed today a new crime against human and cultural heritage by targeting the minaret of the mosque and completely destroying it," the Local Coordination Committees said. The group released a photograph of the mosque without its signature minaret, apparently reduced to rubble. The Syrian Coalition also blamed President Bashar al-Assad's regime. Washington (CNN) – Half of young Christians have bucked the opinion of their older brethren and said they favor legalizing marijuana for recreational use, according to a recent poll. 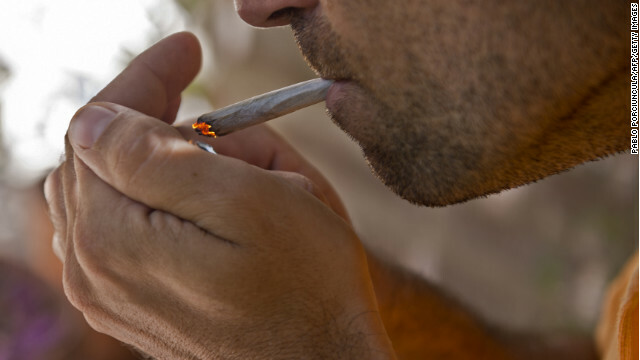 Thirty-two percent of Christian’s aged 18-29 said they “strongly favor” legalization, while 18% said they “favor” the move, according to a Public Religion Research Institute survey released Thursday. Among Christian’s 65 and older, only 9% said they strongly favor legalization and 47% say they strongly oppose it. Though the younger generations favor legalization, all Christians still lean toward keeping the drug illegal. While 39% of Christians say they favor or strongly favor legalization, 54% say they support keeping the drug illegal, according to the poll. According to the poll, 45% of young Christians have “tried marijuana,” compared to 13% of Christian seniors who say they have. Editor's note: Ken Ballen, a former federal prosecutor, is president and founder of Terror Free Tomorrow, a nonprofit organization that investigates the causes of extremism. He is the author of "Terrorists in Love: True Life Stories of Islamic Radicals." (CNN) - There are many unanswered questions about the motivations of the alleged Boston Marathon bombers, Tamerlan Tsarnaev and Dzhokhar Tsarnaev. But it is becoming increasingly clear that they were inspired by faith in a radical Islamist ideology. Dzhokhar has told investigators that, among other things, he and his brother wanted to defend Islam, while Tamerlan's social media accounts are replete with clips by extremist clerics. As the investigation continues to unravel the seeming paradox of how two apparently normal young men could commit acts of violence, classmates, neighbors and relatives of those who knew them have expressed surprise and disbelief. I have interviewed over the past seven years more than a hundred radical extremists, including numerous al Qaeda and Taliban members, and it appears the Tsarnaev brothers fit the profile of many young men who turn to radicalism. Young men—and they are almost always between the ages of 16 and 30—who convert to the radical Islamist cause come from a variety of socioeconomic and family circumstances. Before their conversion (and even often after), to all outward appearances they resemble their peers and seem like any other young men. What changes them?